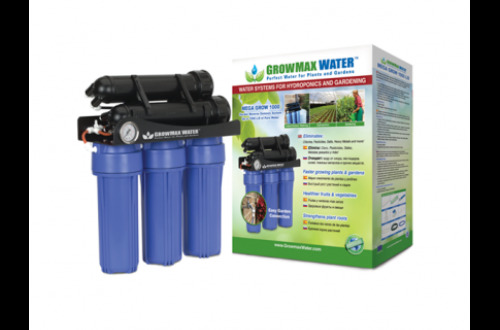 Part of GrowMax Water’s mission statement is to educate gardeners and growers around the world on the benefits of using filtered and Reverse Osmosis (RO) water for plants. Their goal is to establish the principle that, “water is the foundation for growth” and if we can understand this, then the next step is to start addressing the quality of the water that we feed our plants with. This question has continued to challenge GrowMax Water, pushing them to further their research in the field, to better understand how we use our tap water and the effects that it can have on our plants. Did you know that using filtered water when feeding your plants encourages healthier root growth? Or that the chlorine found in unfiltered tap water can kill the friendly micro-organisms in your soil? GrowMax have put together this handy list to give us a better understanding of the benefits of using filtered and RO water when growing. Plants function most effectively when they have access to an electrical conductivity (EC) range between 1.4 and 2.2, according to the type of plant and growing stage. If, for example, the water that we use has an EC of 1.0 then we will only be able to add nutrients between the range of 0.4 – 1.2 before reaching the plant’s maximum EC levels. On the other hand, if we start with an EC of only 0.1 or 0.2, or even 0.0, then we are able to add more nutrients to our plant’s feeding programme. Therefore, by improving the quality of our plant’s water, we can improve the yield & quality of what our plants can produce! By lowering our EC we eliminate salts that we do not want or need in our water. By eliminating these salts we can avoid lime scale build up, giving us healthier roots and allowing plants to absorb 100% of the nutrients in our feeding solution. 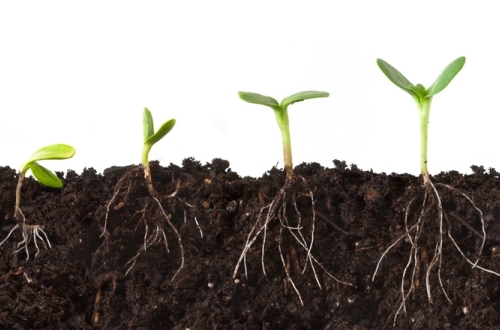 Soils contain beneficial microorganisms that function to protect roots. The microorganisms achieve this by keeping roots clean and healthy; promoting the maximum absorption of nutrients possible. However, when we water our plants with chlorinated tap water, this chlorine chemical kills the beneficial bacteria present in the soil, while also burning the plant’s delicate uptake roots. Thus ensuring that we properly filter our water is vital. Using a reverse osmosis system to lower your water’s EC, helps us to achieve a perfectly balanced pH, as RO water has a pH of approximately 6.5. Water with a high EC may contain larger quantities of hard water minerals like calcium and magnesium, also known as lime scale. High amounts of these minerals, together with added doses of nutrients can BLOCK or saturate roots, prohibiting them from absorbing the added nutrients – also known as “nutrient lock out”. Yellowing or dry leaves, burnt tips and stunted plant growth are all common problems experienced by indoor and outdoor gardeners around the world. Professional growers assure us that if we start our growing season by using water with a low EC, many of these problems can be avoided. Knowing exactly which nutrients and what quantities our plants are receiving is key and starting with a low EC allows us to achieve this. Using specialised microorganisms can be great for our plants (for example to kill worms or other parasites). However, introducing these microorganisms to chlorinated water can be detrimental because the chlorine kills them. 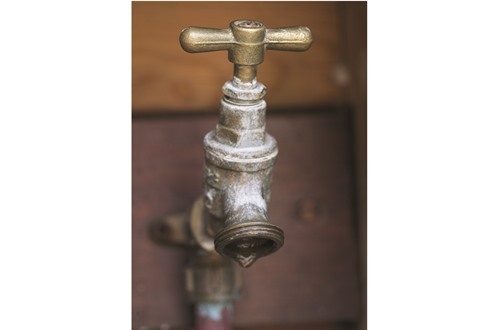 Resulting in wasted time, effort and money – all because of the chlorine found in our tap water. By starting with pure water, our plants will not absorb any undesirable elements that can be present in the water and therefore we will achieve a 100% effectiveness from our added nutrients. Just as a house must be built on a good, strong foundation, when growing you must start with pure water to ensure a strong foundation for growth. Knowing that we start with a clean, chlorine free, low EC water is the right way to help our plants to ACHIEVE THEIR FULL POTENTIAL! As humans we drink thousands of gallons of filtered and purified water every day, because we understand the health benefits of drinking clean, quality and chlorine free water. Our plants live and breathe much like us, so why should not we give them the same clean, quality and chlorine free water? Here at Growth Technology we believe in the work that Growmax Water are doing and make use of their filters and RO units on a daily basis. 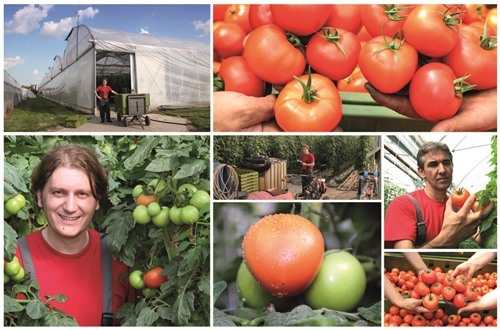 This ensures that all of our plants are treated with the care and love that they deserve and in return we are provided with beautiful plants and bumper crops! Visit the GrowMax Water website for more information. Or talk to your local retailer, which you can find here.